I am interested in 66 Park Ave, Asheville, NC 28803 (Listing ID # 3428735). The data relating to real estate for sale on this web site comes in part from the Internet Data Exchange Program of the North Carolina Mountains MLS (WNCMLS). 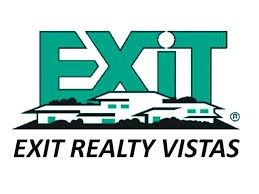 Real estate listings held by brokerage firms other than Exit Realty Vistas are marked with the Internet Data Exchange logo. The broker providing the data believes it to be correct, but advises interested parties to confirm the data before relying on it in a purchase decision. Based on information submitted to the MLS GRID as of 4/22/2019 1:19 PM CST. All data is obtained from various sources and may not have been verified by broker of MLS GRID. Supplied Open House Information is subject to change without notice. All information should be independently reviewed and verified for accuracy. Properties may or may not be listed by the office/agent presenting the information.